After her mother and father are killed in a terrible train crash she is forced to live with her aunt who is a bitter and controlling woman. It all comes to a head when her aunt orders her to marry her late husband’s nephew. This does not sit well with her as she does not love him nor can she stand him and his misogynistic viewpoint. An opportunity appears when an ad for a mail order bride has her travelling across the country to uncharted territories to marry a man she had never met. Johnathan is looking for a mother for his three-year-old daughter but what he gets is more than he bargains for. He falls in love with her but a secret she harbours threatens to tear them apart. The fear of losing her after she goes missing makes him realize just how much he loves her. Can he be willing to overlook her error because of this love? 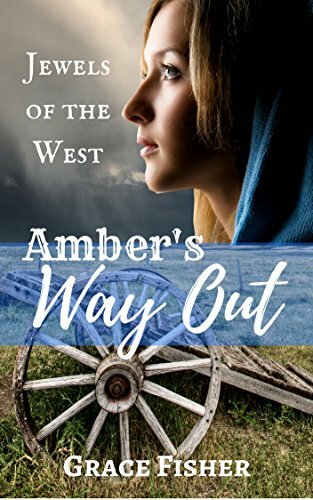 This is the Kindle version of Romance: MAIL ORDER BRIDE ROMANCE: Amber’s Way Out (Inspirational Western Frontier Romance) (Jewels of the West Historical Romance) that you can also download and read on your computer and mobile phone. Kindle books are DRM protected and therefore, unlike ebooks that are in PDF or ePUB format, you cannot read this ebook without the official Kindle apps.